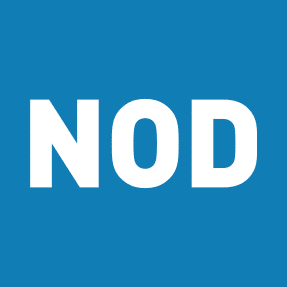 On September 17, 2018, NOD’s innovative pilot Campus to Careers, in partnership with Work Without Limits, hosted a career fair with over 25 hiring employers and attracting dozens of students with disabilities. Held at The NonProfit Center in downtown Boston, MA, college students and graduates with disabilities had an opportunity to network with major employers and learn more about current job and internship opportunities. Employment experts provided educational sessions to discuss topics critical issues for students with disabilities pursuing meaningful careers. Raytheon‘s Erin Mary Ackerman presented on “Avoiding the Resume Black Hole” sharing tips to ensure students’ resumes get seen and “Developing Your Personal Brand Using Social Media” to maximize job leads. Brian Forsythe of the University of Massachusetts addressed the “Impact of Work on Public Benefits.” Attendance was overcapacity, with learning sessions garnering standing-room only crowds. Special thanks to our Campus to Careers employer partners: Boston Children’s Hospital, Deloitte, JPMorgan Chase & Co., Partners HealthCare, PwC, Raytheon and Spaulding Rehabilitation Network. Students and recent graduates with disabilities in the Boston-area and employers looking to tap into talent with disabilities to fill critical talent vacancies are invited to learn more at NOD.org/campus-to-careers.